Da Vinci and Edison Dyslexic? The popular image that men of eminence are learning disabled promotes an aura of romanticism around the learning disabilities (LD) field. Albert Einstein, Leonardo da Vinci and Thomas Edison are usually at the top of the list of famous dyslexics. According to LD lore Einstein failed to talk until the age of four, the result of a language disability. It is also claimed that Einstein could not read until the age of nine. To strengthen their case LD proponents point to such facts that Einstein failed his first attempt at entrance into college and lost three teaching positions in two years. While this makes a nice story, this widely believed notion is false, according to Ronald W. Clark's comprehensive biography of Einstein, and according to Subtle is the Lord: The Science and Life of Albert Einstein, a biography by Abraham Pais (Oxford University Press, 1982). Pais states that although his family had initial apprehensions that he might be backward because of the unusually long time before he began to talk, Einstein was speaking in whole sentences by some point between age two and three years. According to Clark, a far more plausible reason for his relatively late speech development is "the simpler situation suggested by Einstein's son Hans Albert, who says that his father was withdrawn from the world even as a boy." Whether one accepts this interpretation, other information helps us to judge Einstein's language abilities after he began to speak. Einstein entered school at the age of six, and against popular belief did very well. When he was seven his mother wrote, "Yesterday Albert received his grades, he was again number one, his report card was brilliant." At the age of twelve Einstein was reading physics books. At thirteen, after reading the Critique of Pure Reason and the work of other philosophers, Einstein adopted Kant as his favorite author. About this time he also read Darwin. Pais states, "the widespread belief that he was a poor student is unfounded." True, Einstein did not pass the college exam the first time he took it. However, aside from being only sixteen, two years below the usual age, the plain fact was he did not study for it. His father wanted his son to follow a technical occupation, a decision Einstein found difficult to confront directly. Consequently, as he later admitted, he avoided following the "unbearable" path of a "practical profession" by not preparing himself for the test. It is also true that, after graduating from the university, Einstein had difficulty finding a post. This was mainly because his independent, intellectually rebellious nature made him, in his own words, "a pariah" in the academic community. One professor told him, "You have one fault; one can't tell you anything." Also true is that Einstein went through three jobs in a short time, but not because of a learning disability. His first job was as a temporary research assistant, the second as temporary replacement for a professor who had to serve a two-month term in the army. Clark remarks that it is "difficult to discover but easy to imagine" why Einstein held his third job, as a teacher in a boarding school, for only a few months: "Einstein's ideas of minimum routine and minimum discipline were very different from those of his employer." Leonardo da Vinci, Italian Renaissance painter, most popularly known for his fresco The Last Supper and his painting Mona Lisa, was also a sculptor, engineer, architect, inventor, scientist and naturalist. 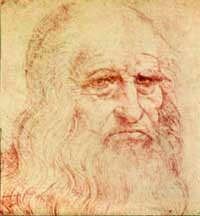 Leonardo is also known for his dyslexia, because he wrote his notes backwards, from right to left, in a mirror image. It should be noted however, that Leonardo wrote this way by choice, not because he was dyslexic. When he was writing something intended for other people, he wrote in the normal direction. He was trying to make it harder for people to read his notes and steal his ideas. He was hiding his scientific ideas from the powerful Roman Catholic Church, whose teachings sometimes disagreed with what Leonardo observed. Writing left handed from left to right was messy because the ink just put down would smear as his hand moved across it. Leonardo chose to write in reverse because it prevented smudging. Thomas Edison was an American inventor and businessman who developed many important devices. Edison is considered one of the most prolific inventors of his time, holding 1,093 U.S. patents in his name, as well as many patents in the United Kingdom, France and Germany. He was, apparently, also dyslexic. 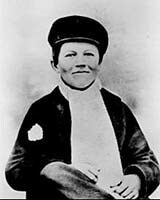 Edison was often ill as a child and therefore started school later than he otherwise would have. Although he did have problems when he finally went to school, these problems were a result of his social behavior, not his mental abilities. One problem was that Tom became annoyed with having to share the text with other children. Tom, "a rapid reader, had no patience with his classmates." Tom's overworked and short-tempered teacher finally lost his patience with the child's persistent questioning and seemingly self-centered behavior. Noting that Tom's forehead was unusually broad and his head was considerably larger than average, he made no secret of his belief that the youngster's brains were "addled" or scrambled. His mother promptly withdrew Tom from school and began to "home-teach" him. Not surprisingly, she was convinced her son's slightly unusual demeanor and physical appearance were merely outward signs of his remarkable intelligence. Before Thomas Edison was ten, he had already read History of England, Decline and Fall of the Roman Empire, History of the World, and The Age of Reason.